3D printers are now widely used in different applications, from rapid prototyping and education to robotics and medical equipment. They are also used for jewelry making, with both jewelers and hobbyists utilizing them to speed up the process. However, not all 3D printers are suitable for jewelry, considering the amount of detail involved in such items. In this guide, we have compiled the best 3D printers for jewelry, all of which are resin-based 3D printers. Whether you are going to create custom jewelry as a business or as a hobby, the products listed here are the best ones you can get right now. All items below are under $10,000, with one item selling for less than $1,000 (spoiler: it’s the budget pick). Relatively easy manual bed leveling, supports offline printing. Sensor-controlled heater module, easy-to-level print bed. User-friendly touchscreen interface, integrated resin system. 3D printers will speed up the jewelry making process. It’s as simple as that. With 3D printers, you can create molds at a faster rate compared to traditional methods. In addition, producing prototypes to make sure you got the design and measurements right will also become faster and more cost-effective, which is great whether or not you are creating custom jewelry for business. With the aid of 3D printing software, you can create jewelry with sophisticated designs, including wedding rings. You can edit the design as much as you like on your computer, although it does take a while before you can get a full grasp of the ins and outs of 3D printing software. Regular, non-industrial 3D printers don’t actually print jewelry in their metal form – they are not built for that. The 3D printing process is just one part of the entire jewelry making process. After printing the model, a sprue is attached to it to create a passage for the molten metal later on. The sprue is then attached to a sprue base. For creating multiple molds at the same time, the 3D-printed models are arranged into a tree-like structure, with each item attached to a smaller sprue that connects to the main sprue. Afterward, the 3D-printed item, along with the sprue, is covered with a casting flask, which will act as the frame holding the mold together and usually comes in the form of a cylinder with an open top and bottom. Next, the molding material is poured into the casting flask, covering the 3D-printed item and its sprue. Once it hardens, it’s subjected to extreme heat to burn off both the 3D-printed item and the sprue inside, creating a mold of them. Molten metal is then poured into the newly created cavity, with the sprue directing the liquid to the mold. When the metal hardens, the item inside is broken out. The end product will be the metal form of the 3D-printed item, along with the sprue. From there, the sprue is cut off and the now-metal jewelry is subjected to a series of metal finishing to make it prettier. When it comes to jewelry making, you need a 3D printer that can consistently print small models with intricate details. While there are Fused Filament Fabrication (FFF) 3D printers capable of producing highly detailed 3D models – such as the Ultimaker 3 – the best 3D printers for jewelry are resin 3D printers, commonly referred to as SLA 3D printers. (SLA is short for Stereolithography.) Yes, there are actual metal 3D printers out there, but they are astronomically more expensive than desktop 3D printers, which makes them inaccessible to small businesses and individuals. SLA 3D printers are much more accurate than FFF 3D printers, which is the reason they are also the go-to machines of people who print miniatures for tabletop RPG. They are capable of producing extremely detailed and smooth 3D models, even if the items are as small as a coin. But instead of thermoplastic, they use photopolymer liquid resin, which is cured using a light source like a laser beam or a Digital Light Processing (DLP) projector to create a solid object. Compared to FFF 3D printers, SLA 3D printers have significantly smaller build volumes and fewer color options when it comes to the materials. But that’s not a big deal when it comes to jewelry making since you will be printing small items anyway and the 3D-printed item will be melted during the process, which means the material color is not important. There aren’t many desktop SLA 3D printers currently out on the market, though, not to mention they are more expensive than their filament-based counterparts. For example, a “budget” SLA 3D printer will easily cost you around $500. 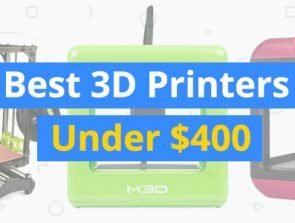 In the world of FFF 3D printers, there are budget options selling for less than $200 – like the Monoprice Select Mini v2. Fortunately for you, we already got you covered with this guide, so there’s no need to spend weeks digging around for the best 3D printers for jewelry. 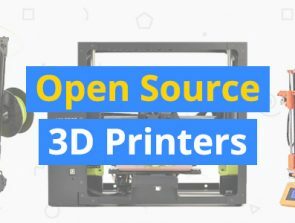 SLA 3D printers are very different from FFF 3D printers, the most popular type of 3D printers and often the first thing people think of when the conversation is about desktop 3D printers. Whether you are completely new to 3D printing or have experience with FFF 3D printers in the past, make sure to read about the pros and cons of resin 3D printers before you buy one for jewelry making. Not including their differences in max build volume, material options, resolution, and pricing, below are the other important things that separate resin 3D printers from filament 3D printers. SLA 3D printing has a steeper learning curve, one reason newcomers to 3D printing typically stay away from it. The process is messier and more hazardous than FFF 3D printing due in large part to the properties of the liquid resin. You need to make sure you are wearing proper protective equipment when dealing with the printing material, whether it’s during pre-print or post-print. Since desktop SLA 3D printers are not as popular as FFF 3D printers, the community is smaller. This means there are fewer people to ask for general advice and troubleshooting tips, which is especially crucial for those who are completely new to 3D printing. The good news is that products such as the Formlabs Form 2 and the Anycubic Photon – two of our top three picks here – come with an already established community that you can turn to for help. Like with community support, the aftermarket support for SLA 3D printers is not on the same level as FFF 3D printers. There is also the fact that SLA 3D printers are usually proprietary in nature, with limited choices when it comes to the printing materials. With FFF 3D printers, you can easily find replacement parts, not to mention you can also print some of the parts yourself, which drives down the cost. SLA 3D printers are not as open to customization as FFF 3D printers. With the latter, you can upgrade some of the parts to produce better results. You can customize or replace the print bed, the entire print head structure, the user interface, and even the motion system itself. You don’t get that kind of freedom when it comes to SLA 3D printers. Compared to filament 3D printers, resin 3D printers are more expensive to run, so keep that in mind if you are planning to create custom jewelry for business purposes. 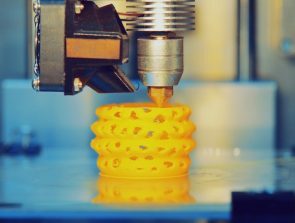 Liquid resins are more expensive than filaments, and as mentioned, SLA 3D printers are usually proprietary in nature regarding printing materials. Created by Formlabs, a Massachusetts-based company, the Form 2 is the best desktop 3D printer that you can use for jewelry. It sells for around $4,000 apiece, which puts it in the same price range as high-end professional FFF 3D printers such as the Ultimaker 3 and the BCN3D Sigmax. Unlike budget resin 3D printers, the Form 2 is an SLA 3D printer that uses a powerful laser to turn liquid resin into solid objects. It comes assembled out of the box, which translates to a quicker initial setup. The build quality of the machine is good, with well-secured parts from top to bottom, which can’t be said for some of the budget options out there. Equipped with an easily removable enclosure for protection, the Form 2 has a good build volume for a desktop resin 3D printer, featuring a max build volume of 5.7 x 5.7 x 6.9 inches. Formlabs designed the Form 2 with user convenience in mind, equipping the unit with a touchscreen interface for print management, as well as Wi-Fi connectivity and an integrated resin system that allows you to quickly change materials. Print management is very easy, with no need to go through a complicated series of commands just to start a print. Moreover, the unit can detect the resin type, automatically adjusting the settings to match the loaded resin. Regarding print quality, this Formlabs offering is just as advertised, capable of producing extremely detailed and smooth prints, with a low failure rate once properly tuned-up and fast print speed for a desktop SLA 3D printer. 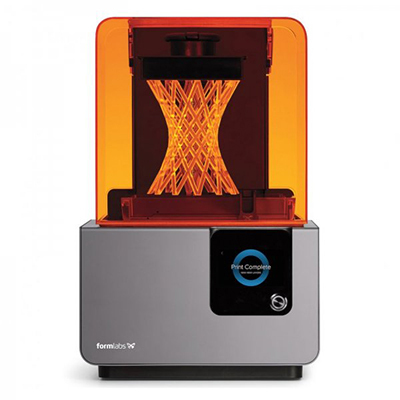 Formlabs also offers materials designed specifically for jewelry making, such as the Castable Wax Resin. If you need help with printing jewelry, the company also offers guides to get you on the right track, which is great for newcomers. All in all, the Form 2 is a fantastic 3D printer for jewelry, featuring an easy-to-use touchscreen interface and good build volume. The community support is also great, which is good news for those who are completely new to 3D printing. If you want to use a 3D printer for jewelry making, the Form 2 is the best option right now. One of the best 3D printers for miniatures, the Anycubic Photon is the best option if you don’t want to spend over a grand for a 3D printer. You can get it for around $500, which makes it significantly more affordable than our top pick. In FFF 3D printing, that figure is already considered expensive by many, but that’s not the case in SLA 3D printing, where the best ones typically sell for over $1,000. An LCD-based resin 3D printer, the Photon is an excellent budget option. While not exactly screaming “premium,” the frame is well built, with integrated handles at the sides for easy transport and a windowed front door. Out of the box, the machine is relatively easy to set up, featuring a manual bed leveling system that’s not as difficult as you might think. The Photon is mostly assembled, with not much core parts to put together other than the build platform and the resin vat. Like the Formlabs Form 2, it has a touchscreen interface out front, which is convenient. Although limited regarding features, the touch-based control panel is well designed and is easy to use. For connectivity, the Photon has a USB port, with support for offline printing, which some people will find more convenient than Wi-Fi connectivity. Compared to our top pick, it has a smaller build area, only offering a max build volume of 4.5 x 2.6 x 6.1 inches. That’s still good enough for jewelry, though, so the limited print area is not that big of a deal. Featuring a 25-micron resolution, this budget SLA 3D printer is capable of producing highly detailed models, which makes it great for small items with intricate details like jewelry. While not in the same league as our top pick, it’s better than the similarly priced Wanhao Duplicator 7 v1.5 regarding overall print quality. It’s even better than some of the more notable high-resolution FFF 3D printers on the market, which makes it well worth the money. Overall, the Photon is a great product that offers good value for the money, especially if you want to produce custom jewelry just for fun and don’t want to spend too much on a 3D printer. It’s got good build quality for a budget product and comes with an active online community. The Peopoly Moai 130 is a great SLA 3D printer for custom jewelry, boasting excellent print quality and a generous build volume. It’s the upgraded version of the standard Moai, and the best part is that it sells for a similar price. You can get the Moai 130 in either a pre-assembled package or a kit, with the former selling for around $1,450. If you prefer a hassle-free setup and want a 3D printer that you can play around with immediately, go for the assembled package. If you are comfortable with machines and electronics and want to learn about the core parts of SLA 3D printers, get the kit, which is around $50 cheaper. Of the products in this guide, the Moai 130 stands out due to its design. It looks like a small cabinet with a side-hinged door out front. The print bed and the resin vat are located in the upper half while the main electronics are in the bottom half. The entire unit is well designed and does not feel cheap. The Moai 130 has an upgraded print bed that’s easier to level, along with an internal sensor-controlled heater module that keeps the printing chamber in optimal printing condition. Furthermore, the unit features a resin vat coated with Fluorinated Ethylene Propylene (FEP), which cuts down on cleaning sessions and makes sure all the remaining liquid resin in the vat can be used again for prints. 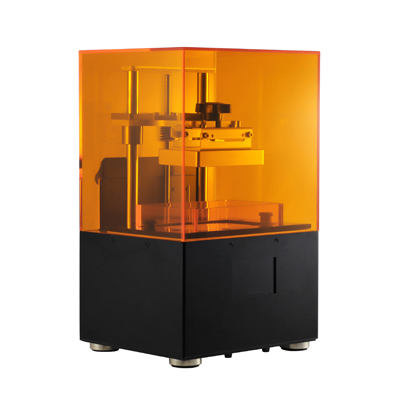 Featuring SD card connectivity, the Moai 130 can produce 3D models with outstanding accuracy, with the unit easily capable of printing with 10-micron layer thickness. You can count on it to consistently produce complex jewelry once properly calibrated. If you are having issues getting the settings right, you can ask for help in the established online community. The manufacturer also offers good customer support in case you want to go that route. If you want a resin 3D printer for jewelry that’s more affordable than the Formlabs Form 2, check out the Moai 130. It’s the upgraded version of an already good product. It’s got excellent print quality and good build volume and comes with a great community. It’s not as premium-looking as other SLA 3D printers out there, but it gets the job done, which is more important. Created by Reify 3D and sold in the US by Junction3D, the Solus is a 3D printer that uses a DLP projector to cure the liquid resin. At the Reify 3D online store, you can get it for around $2,400, but there is no projector included in the package. Junction3D, on the other hand, sells it in a bundle, with the package composed of the Solus, a DLP projector, an aluminum resin tank upgrade, and three replacement films. The bundle sells for about $3,500, which puts it in the same price range as our top pick from Formlabs. 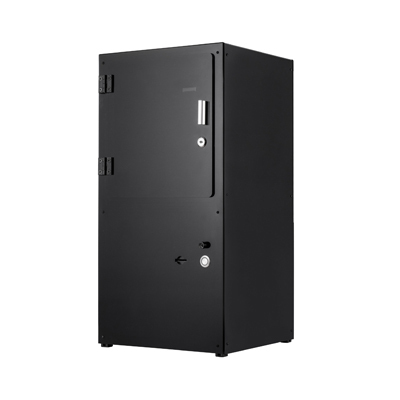 Featuring a sturdy case made of anodized aluminum, the Solus is a well-designed machine with well-secured components, from the motion system to the main electronics. The print bed is relatively easy to level and won’t prove to be a headache to deal with at the onset. On the other hand, the Solus’ print area is easily the smallest among the products on this list, with a max build volume of 3.2 x 1.8 x 3.2 inches. Capable of producing extremely smooth and detailed prints, this DLP-based resin 3D printer comes with Reify 3D’s custom software, the Contour. Developed exclusively for the Solus, the Contour is easy to use and offers a good selection of options. The Solus is also compatible with third-party materials, which is a notable feature when it comes to resin 3D printers. Overall, the Solus is a great machine for 3D-printing jewelry. It has a user-friendly software and an open material system and features a well-secured case with a protective enclosure. If you want a DLP resin 3D printer that produces great prints, check out the Solus. 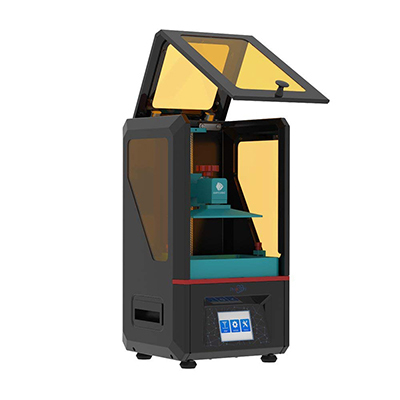 The B9Creations B9Creator v1.2 is another excellent DLP resin 3D printer for jewelry, featuring a sturdy frame with a well-secured print area in the upper half. 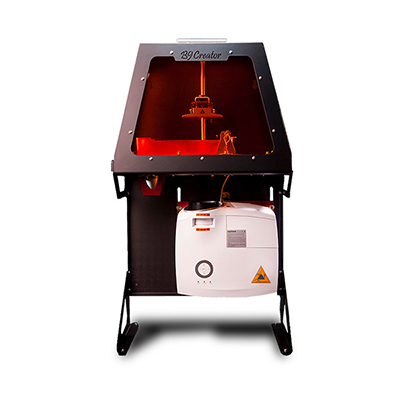 Selling for around $4,500, this 3D printer is the most expensive item in this guide. Compared to the Reify 3D Solus, the B9Creator v1.2 has a more unappealing design, especially concerning the unit’s lower half, where the DLP projector is located. The initial setup is easy since the machine is already assembled. The unit connects via USB only, with no option to print while untethered to the computer, which might disappoint some of you. The build area is decent and is not as limited as the Solus’ – the B9Creator v1.2 actually has the most vertical space out of the 3D printers on this list. Regarding material compatibility, this DLP 3D printer is in the same boat as the Solus, featuring an open material system, which is great if you want to experiment with third-party resins. The manufacturer also offers a good selection of resins, including castable resin, which is built for printing jewelry. In terms of print quality, the B9Creator v1.2 is superb, with the ability to produce extremely smooth and detailed models. The print speed is good as well, which is another plus, especially if you are going to create custom jewelry for commercial purposes. If you want, you can also check out the jewelry Training Course being offered by the manufacturer. While definitely not the most affordable 3D printer around, the B9Creator v1.2 is worth the money if you are looking for a 3D printer capable of producing extremely detailed prints. It’s got a decent max build volume and an open material system. In addition, the manufacturer also offers good customer support, which is great for newcomers to resin 3D printing.